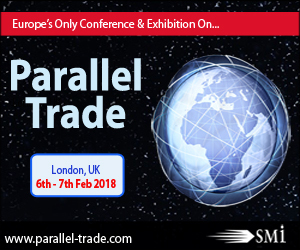 SMi Group is proud to announce the return of Europe’s only Parallel Trade conference. Back for the 12th year, Parallel Trade returns to London on 6th-7th February 2018. Over the years, the European Single market has allowed for pharmaceuticals to be imported and exported freely between member states without the permission of the manufacturers. However, with the arrival of Brexit and guidelines to immanently enforce the Falsified Medicines Directive (FMD) by 2019, the market for pharmaceutical parallel trade is changing. Join us as we discuss the latest changes to regulation, their implementation and major court cases in intellectual property influencing distribution practices. We will also be exploring the safety of patients in relation to the surge in pharmaceutical E-commerce and ways in which currency fluctuations are likely to disrupt the flow of drugs to certain countries in the EU and beyond. Parallel Trade will address short term versus long term concerns of pharmaceutical manufacturers, regulators, parallel traders and patient associations. From pharmaceutical and biotechnology companies, drug manufacturers, pharmaceutical wholesalers, pharmacies, pharmaceutical importers and exporters, parallel traders, medical device, regulatory bodies and academia.